Find out more about the birdsong and walking tours run at our Bed & Breakfast near Aracena, Seville, Andalucia, Spain in the Sierra de Aracena National Park. Set amongst a chestnut and cork-oak forest we operate as a family B&B and self-catering holiday cottages. We run cookery courses, photography courses, creative writing retreats and fitness retreats. Hiking trails and stunning views. 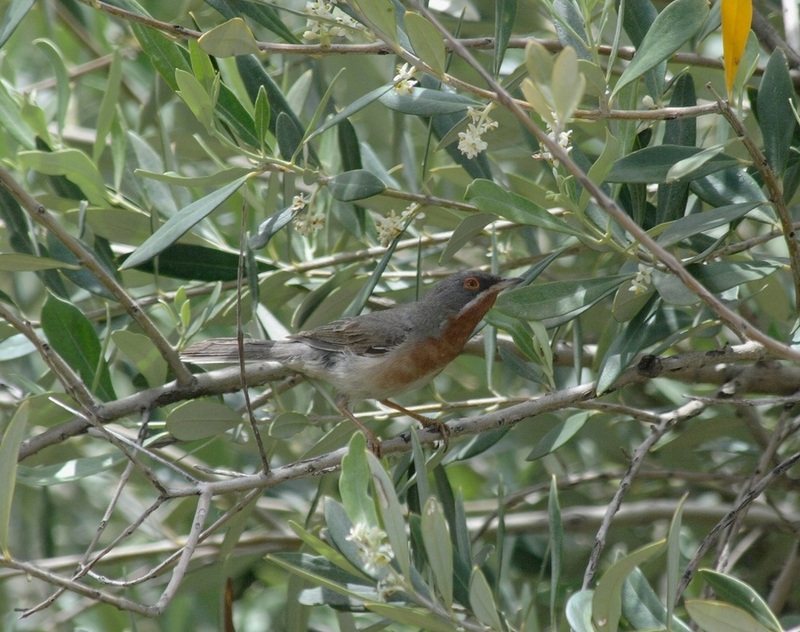 Birdsong, music and walking holidays in Spain. Birdsong and music walking tours. Spring Walks, Wildflowers and Birdlife. During the birdsong and wild flower season (April-June) the climate is mild and perfect for walking. Sometimes, of course it might rain; spring in the mountains is unpredictable, but the beauty of flowers and foliage is achieved with a mix of sunshine and showers. The villages of the Aracena mountains are linked by a network of beautiful walking trails. We advise walkers and birders to bring a copy of the Discovery walking guide. The book has detailed descriptions of walks, and is accompanied by excellent maps which you may purchase online by clicking on the link above. Although some of the walks involve a steep climb there are also others through wooded valleys with streams, where, in season, nightingales sing their hearts out day and night. Paul Sterry's "Birds of the Mediterranean" is a useful volume and it's also a good idea to have a copy of"Flowers of the Mediterranean" by Oleg Polunin and Anthony Huxley, (or perhaps a slimmer volume you can slip into a knapsack). Flowers will come out earlier or later at different altitudes, but you will find the various cistus flowers; Albidus, Ladanifer, Clusii, or Populifolius, as well as tiny wild gladiolus, scabious, arenaria, pimpernels (red and blue), poppies, viper's bugloss, fumitory, euphorbias of various kinds, and of course, our rabbit-eared French lavender. Various brooms, yellow and white are to be found in drifts on the hills, and barbary nuts and tall blue Iris, carpet the fields around the lake, or stand stately beside the asphodels. There are also pink phlomis purpurea and the pale blue teuchrium fruticans and many more flowering plants too numerous to mention here. Our villages are nearly all a few kilometres apart, and you will be able to find refreshments and food, and there are plenty of springs and fountains where you may fill your water bottle! For booking information contact us. Bird photography on this page © Geoff Sample www.wildsong.co.uk. Other photographs by Rosie Johnston.